Ipswich Town could be relegated tonight from the second tier of English football for the first time since 1957, but any hope of a quick return to the Championship might depend on one player. Everyone expected him to move to pastures new when it became certain that the Blues were falling further down into the abyss, but he had other ideas and instead signed a new contract. And it is Alan Judge who might, more than anyone else, decide our ultimate fate. The Blue and White Army travel to Brentford this evening to watch their team in action and game on game Alan Judge is looking more and more the part. He was very much out of shape when he was first drafted into the side, more out of hope than expectation but these days the only thing he lacks is goals. These will surely come, if not this season, then next, and he perhaps more than anyone else, is the reason why I am optimistic about the future of the club. The Town boss has already stated his intention of rebuilding the squad around his younger players but he is only too aware that he will need to complement this with some old heads who have been around the block a few times and captain Luke Chambers and midfielder Cole Skuse fit the bill and they will have Alan Judge working with them as a silent assassin. There is little doubting his love of the game and his desire to make things happen and if he can replicate the form he showed at Brentford a couple of seasons ago then we have lots to look forward to! With a bit of luck, Emyr Huws might be back in the mix as well so what a potent force we might have in midfield next term, with young Andre Dozzell, Flynn Downes and Teddy Bishop adding youthfulness and ingenuity to it all! I think the decision by the 30-year-old Irishman to extend his contract by a further two years could prove pivotal to our chances of bouncebackability. 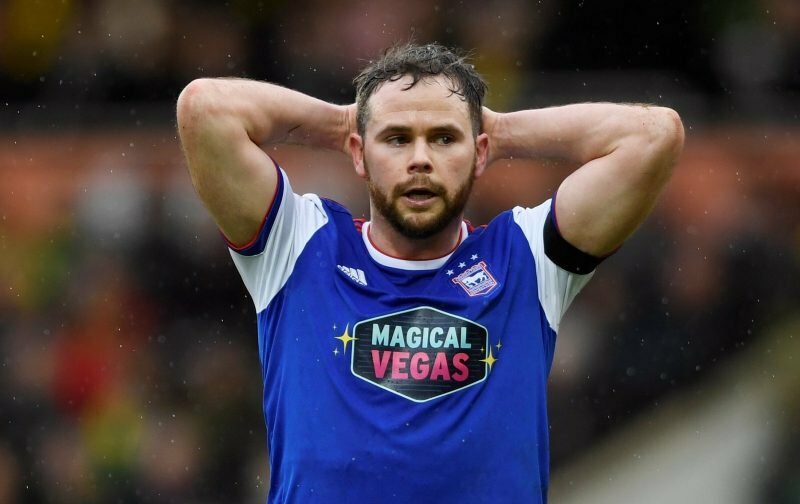 Alan Judge joined Ipswich in January from Brentford on an initial short-term deal and we all thought that would be the end of it, but his decision to stay put and play in a league that is out of his comfort zone is quite remarkable, and may also encourage others to stay around as well? Could we see Will Keane and even Matthew Pennington staying put? Time will of course tell but for the moment the thought that Judge will be gracing Division One next season fills me with a renewed sense of energy and zest! As for tonight, and Brentford will again be without goalkeeper Daniel Bentley at Griffin Park and the good news for the Blues is that manager Paul Lambert has won all six of his matches against The Bees in all competitions. However, if Millwall, Wigan and Reading all win and Town lose we will go down tonight but the home side are mid-table with nothing to play for and this may help the visitors to some more points and a chance to win consecutive Championship matches for the first time since March 2018. Now wouldn’t that be nice!